The Monte Carlo method is a mathematical technique used to approximate the solution to a problem for which no known method for obtaining an exact solution is known. This project uses darts thrown at a circle inscribed in a square to illustrate the method. The ratio of the area of a circle inscribed in a square to the area of the square is π/4. If the ratio of the number of darts that land in the circle to the number of darts thrown (assuming all darts hit in the square) is multiplied by 4 then the result approximates the value of Pi. The more darts thrown, the closer the approximation. Below is a screenshot of the project. The project makes use of the parametric form of the circle equation, random numbers, and the Pythagorean theorem. To view and download this project just click on this link. 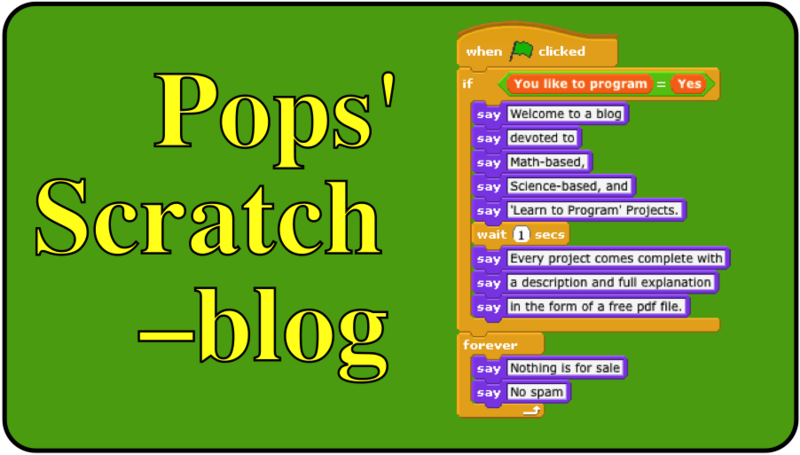 To obtain a free pdf file that provides more detail about this Scratch project send an email to grandadscience@gmail.com.